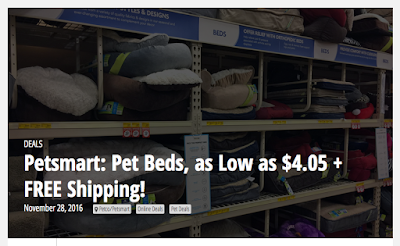 Clipping Chix: Petsmart: Pet Beds, as Low as $4.05 + FREE Shipping! 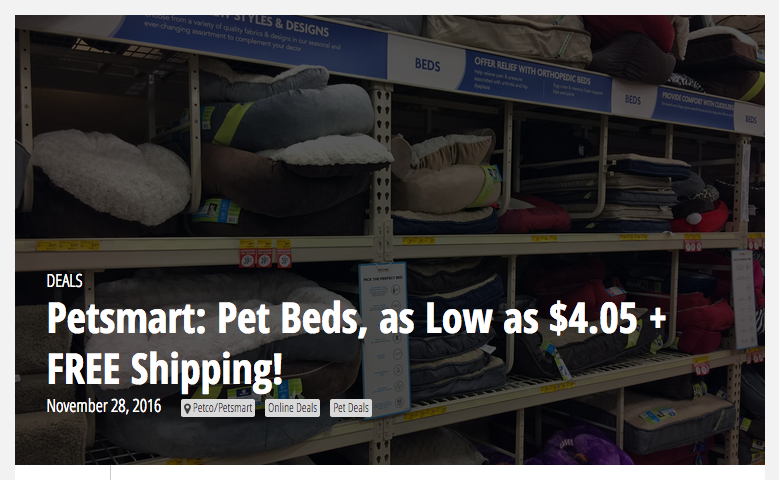 Petsmart: Pet Beds, as Low as $4.05 + FREE Shipping! Are you a pawrent? Visit Petsmart.com where through 12/1 you can save up to 60% on select pet beds. There’s a great variety to choose from, for all tastes and sizes. Pay as low as $4.05, plus score free shipping!